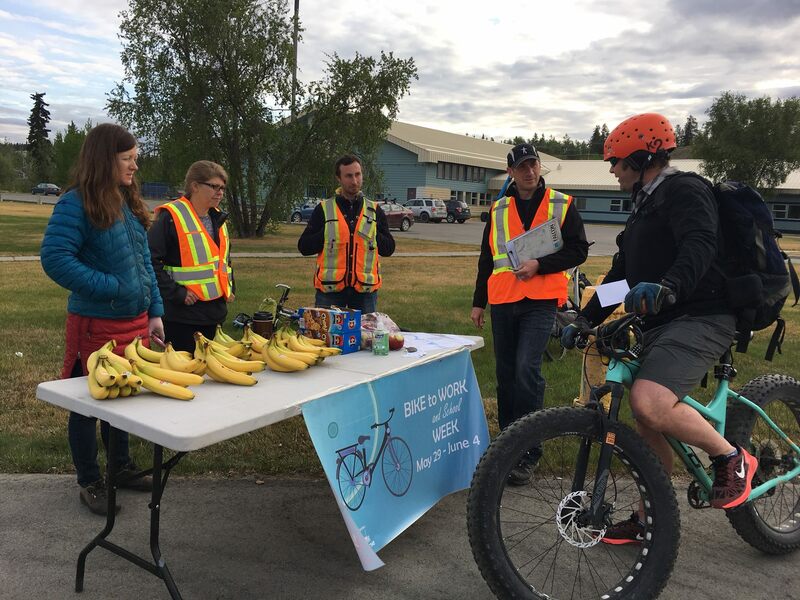 On May 31st, members of the WUCC worked with Yukon Energy employees to hand out snacks to commuters for bike to work week. At the same time, we collected your thoughts on what your dream bike route to work would look like and what the current barriers/difficulties are now to you and your neighbours riding more regularly. The full list of comments can be found here; they are quite detailed and diverse. Several riders expressed a desire for separated spaces and safer, more convenient ways to bike in town. The most common criticism was that the bike lanes and paths that do exist are disconnected. A fear of cars was also cited more than once as a worry for bike commuters. The purpose behind this website is to map people’s cycling experience in order to make biking safer. Since you know your local cycling trouble spots better than anyone else, you provide the data. By allowing citizens to map cycling collisions and near misses, and to identify the location of hazards and thefts, the project aims to collect comprehensive data to facilitate better research into cycling safety. All reports are anonymous. Citizen mappers identify the location of their cycling incident by clicking a “submit new point” button and adding the location on the map where the incident occurred. They then report details of collisions and near misses on a digital form through pull-down options. The attributes captured through the pull-down menus are designed to enable research on important determinants of cycling injury. You can read more about the BikeMaps.org project in this article in the journal Frontiers in Public Health. So, let’s build the data for Whitehorse! We can provide the evidence needed to help governments and decision makers improve road safety for riders.